Geographically, we are ideally positioned with redundant highway transportation paths – I-25 runs through Casper north to south connecting to two east/west interstates; I-90 to the north and I-80 to the south. Additionally hard surfaced state highways, architected and configured to handle large trucks and wide loads, provide additional redundant paths to the east/west and north/south directions. 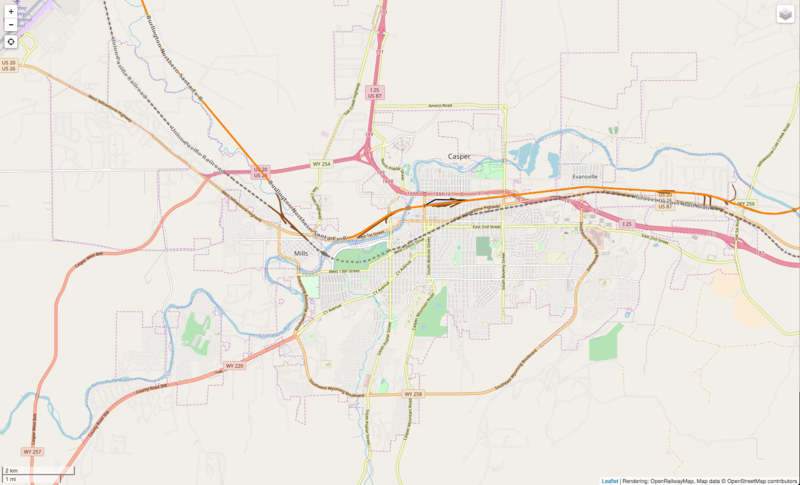 The Burlington Northern Santa Fe Railroad runs directly through Casper with two railyards in the area and various rail spurs to businesses and industrial parks. Interstate-25 runs north and south through Casper connecting with I-90 to the North and I-80 to the South.